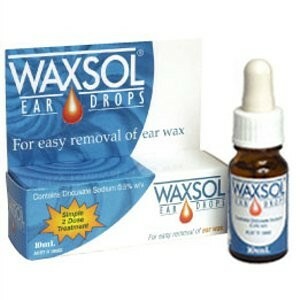 Product Use : Waxsol Ear Drops act by penetrating and softening ear wax. Waxsol should only be applied to the ear canal. With the head tilted, fill the ear with Waxsol using the dropper provided. On the next night apply Waxsol again as before. Unless the ear wax is unusually hard, it may be removed by the normal cleansing process, if the problem persists, you should consult a doctor. Do not use this product if your ear drum has been previously perforated, or if your ear is sore or inflamed. Waxsol should be used on no more than 2 consecutive nights. If you should experience any pain on application, you should stop using this product. Consult a doctor or pharmacist if anything unusual happens. Do not use after expiry date.